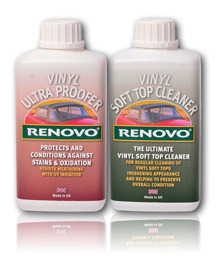 To properly clean, protect and condition your vinyl soft top you will need to have both the Vinyl Soft Top Cleaner and the Vinyl Ultra Proofer. This twin pack helps you to save on buying both separately. Please see our Do's & Don'ts page before placing your order.